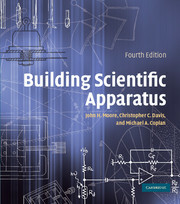 Unrivaled in its coverage and unique in its hands-on approach, this practical guide to the design and construction of scientific apparatus, or laboratory instruments, is essential reading for every scientist and student of engineering, and physical, chemical, and biological sciences. 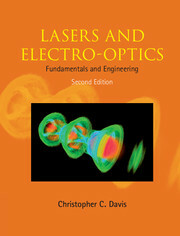 Featured in this great new edition are features including the physical principles governing the operation of the mechanical, optical and electronic parts of an instrument, new sections on detectors, low-temperature measurements, high-pressure apparatus, and updated engineering specifications. 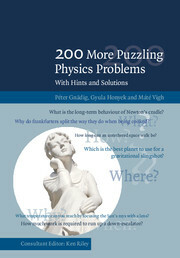 400 hand drawn figures and tables, have been added to this edition, which basically teaches scientists and engineers how to perform experiments. Pre-Publication Praise: "This new edition includes updates throughout, and will continue to serve as a bookshelf standard in laboratories around the world. I never like to be too far from this book!" Pre-Publication Praise: "… the first book I reach for to remind myself of an experimental technique, or to start learning a new one. With valuable additions …, the newest addition will be a welcome replacement for our lab's well-thumbed previous editions of BSA." Pre-Publication Praise: "… a mine of useful information ranging from tables of the properties of materials to lists of manufacturers and suppliers. 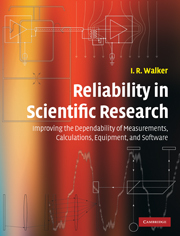 This book would be an invaluable resource in any laboratory in the physical sciences and beyond." Pre-Publication Praise: "… concentrating several careers' worth of equipment-building experience into a single volume—a thoroughly revised and updated edition of a 25-year-old classic.. It is a "must-have" on the shelf of every research lab." Pre-Publication Praise: "This book is a unique resource for the beginning experimenter, and remains valuable throughout a scientist's career. Professional engineers I know also own and enjoy using the book." "… a fascinating and extremely useful reference work. Anyone who works with scientific apparatus will benefit from this book, undergraduate students, professors, technicians and postdocs. If you do not have one already, buy one now!" John H. Moore is Professor Emeritus at the University of Maryland. He is a Fellow of the American Physical Society and the American Association for the Advancement of Science. His research has included plasma chemistry, high-energy electron scattering, and the design and fabrication of instruments for use in the laboratory and on spacecraft. Christopher C. Davis is Professor of Electrical and Computer Engineering at the University of Maryland. He is a Fellow of the Institute of Physics, and a Fellow of the Institute of Electrical and Electronics Engineers. Currently his research deals with free space optical and directional RF communication systems, plasmonics, near-field scanning optical microscopy, chemical and biological sensors, interferometry, optical systems, bioelectromagnetics, and RF dosimetry. Michael A. Coplan is Professor and Director of the Chemical Physics Program at the University of Maryland. He is a Fellow of the American Physical Society and has research programs in space science, electron scattering, and neutron detection. Sandra C. Greer is Professor of Chemistry and Biochemistry and Professor of Chemical and Biomolecular Engineering at the University of Maryland. She is a Fellow of the American Physical Society, and recipient of the American Chemical Society Francis P. Garvan-John M. Olin Medal. Her research deals with experimental thermodynamics and statistical mechanics of fluids and fluid mixtures, living polymers, biopolymers, and polymer solutions.